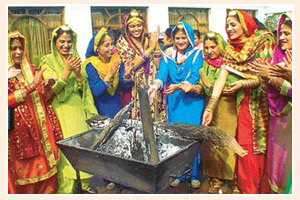 Lohri is an agricultural festival and is filled with joyfulness and merry- making. 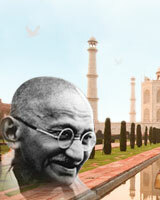 This festival is celebrated annually on January 13, i.e. 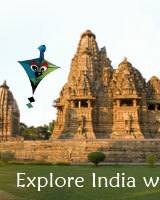 a day before Makar Sankranti. It is a major festival in Punjab, and it marks the harvesting and gathering of crops. The Festival of Lohri also marks the beginning of the end of winter and the coming of spring and the New Year. At night time, bonfires are lit and people offer their prayers to God. This is followed by singing and dancing around the bonfire. If there has been a happy occasion in the family, like the birth of a child or a marriage, Lohri is celebrated with great fervor. Singing and dancing form an essential part of the celebrations. People wear their brightest clothes and enjoy every moment of this festival. Lohri is celebrated throughout the country in different forms and with different names, as a harvest festival.